I was in a shopping centre recently and needed a map of the place. I went to the main entrance where, once upon a time, there was a stand with a large map, and there you could collect a brochure with a map to take with you around the shops. So I got to the big map but there were no small maps to be had. Just something that looked like this. Apparently if your smart phone chats with the smart looking design, you get a map on your phone. The trouble is, I have one of these. I wanted a map, not an App. No map for me that day. There has been a lot of proverbial ink spilt over the good and the bad of the digital age. And there was a lot I could have said...about the pros and cons of text messages and Facebook, about how I can see the benefits of eReaders but still prefer a book myself, about my decision to not leave a digital footprint of my children on the Internet (or at least, only leave a very small and hopefully fairly imperceptible one) and wondering in time whether they'll regard that as a good decision or not. Instead I decided to make this a lighthearted effort about how, on first spec, our household is really in the digital dinosaur age, despite the fact that I have a blog and organise my life via text message. But a funny thing happened on the way to this post. If there is anything true about life in the digital age, it's that things move quickly. At the beginning of the week I had started in on a post about what it is like to live in the age of digital dinosaurs - hence my opening gambit with the map anecdote. In thinking about all of this, I was discussing with my beloved about how at some stage (in the next year or so) we might need to get ourselves an iPad (you know, thrust ourselves into the current century) to find out how they work, to get on top of this whole App thing and generally stay slightly ahead of the game with the kids. Said conversation took place, as co-incidence would have it, in the same week that the tax return came in. And behold, it is the end the week and we have an iPad on order, set to arrive any moment now. So having just rewritten the post for this writing prompt, all I need to do now is get that iPad, find some small child who will tell me how to turn it on, download Angry Birds and Fruit Ninja and I will be set. How could I have ever imagined I was living with the dinosaurs? I have heard said that if you want to learn about prayer you should read a book about God, rather than a book about prayer. So true. Knowing the One to whom we pray is a great encouragement to pray. But there are times when a specific boost comes in handy. I've been in need of such a boost so I pulled the two books on prayer that have been waiting quietly in the wings and had a read. 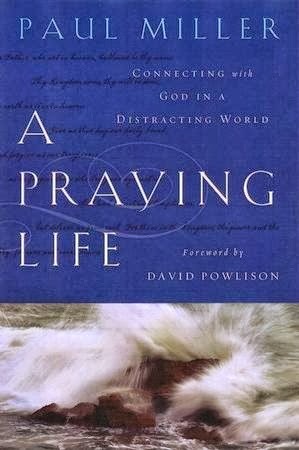 A Praying Life by Paul Miller is good meeting point between a book about God and a book about prayer. Paul Miller loves God. And he loves praying. He prays all the time. About the big and the small. He has complete trust that God hears and answers his prayers. Paul Miller gets "pray without ceasing." This book is an exhortation to pray. Like Wendy said, this book makes you want to pray. And like Jean said, you don't have to wait until you have things all sorted out to come before God because He wants you to come messy. A praying life feels like our family mealtimes because prayer is all about relationship. It's intimate and hints at eternity. We don't think about communication or words but about whom we are talking with. Prayer is simply the medium through which we experience and connect to God. Oddly enough, many people struggle to learn how to pray because they are focusing on praying, not on God. I didn't agree with absolutely everything he had to say. And personally I found it a bit too anecdotal - which is funny because used to love books with lots of stories woven into them... But even so I would have no hesitation in sharing this book with others. Miller takes the mystery out of prayer (but not the wonder of it) and provides warm encouragement to get on with it, without fear. If you have stopped praying or never really got started, if you are stuck in a rut or want to up the ante, this book will spur you on. The second book I read is called Praying by JI Packer and Carolyn Nystrom. I've had this one for six years, mostly unread, having had several attempts at starting it. Others seem to have had that experience with this book as well. Which I think has much to do with JI Packer's style of writing. It's deep and dense. 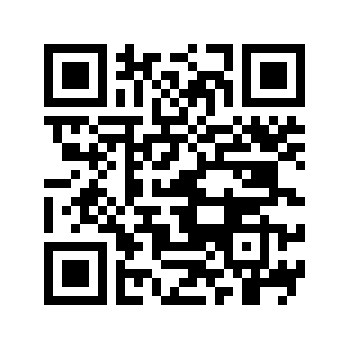 You have to read it slowly. In fact I read a review of this book that started, "This book is SO good that I had to take six months to read it." This book is not a quick fix book. If you need a quick prayer-pick-me-up then this isn't the book for you. The authors say as much at the beginning - that "non-practitioners" of prayer will be quickly left behind. But if you want to take deeper look into the subject of prayer - and the One to whom we pray - then this is a great volume. I didn't get the best out of this book. I mostly read it late at night and the chapters are long - however the chapters are divided into shorter sections. 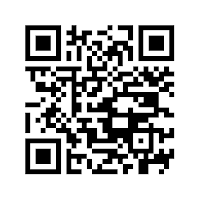 A better way to read it, as the reviewer said, would be to take your time. A bit like Knowing God. The next time I read it - and I will read it again so I can't say better than that - I will read it not chapter at a time, but smaller section at a time and go through it slowly, slowly over a longer period of time. There is a great set of study questions at the end of the book as well - and taking it more slowly, I would do the studies as well, which include sections on understanding what has been said, studying the Bible and deep praying - not just a quick prayer tacked on at the end for sake of completeness. It's certainly not the easiest book I've read all year, but it's a worthwhile read. And there are lots of quotes from the puritans and from CS Lewis, so that may spark an interest for at least one fellow blogger. 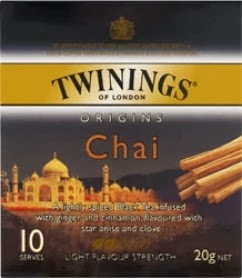 Drinking: Chai. Made from a teabag. Twinings Chai. It's not bad actually. 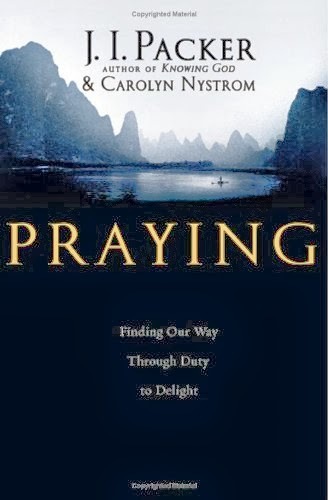 Reading: Praying: Finding our Way Through Duty to Delight by JI Packer and Carolyn Nystrom. But you knew that. Wondering: if anyone nearby has a copy of Heading Home by Naomi Reed that I could borrow. Suffering: from killer hay fever. I read in the news a couple of weeks ago that this year's hay fever season has come late and hard in our neck of the woods. I concur on both counts. One of my favourite parts of the day currently is when I wake up and get to take my next antihistamine. Watching: way, way, WAY too much West Wing and wondering if you feel as sad when you get to the end of it all a second time as you do when you finish it the first time. 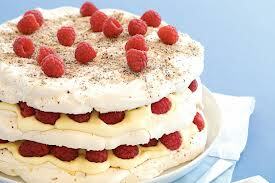 Thinking: I need to plan to bake one of these this month. It was one of my things to do this year. And I am running out of year. How hard can it be, really? Anticipating: the next two months, sometimes with joy and sometimes with slight panic. Praying: for joy, not panic. Singing: and/or listening to this beautiful song a lot at the moment. And remembering the special times of singing it with friends on special occasions at church in times past. Deciding: that this will be my last monthly status report. I will be back next month (what???) but with a more seasonal approach to status reports.